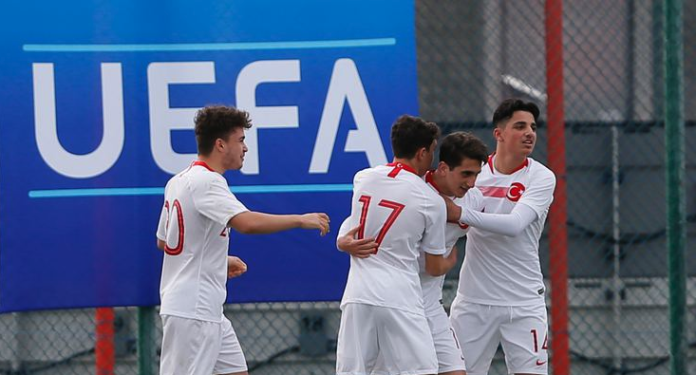 Manchester United and Liverpool were among several clubs who sent scouts to Izmir, Turkey for 2019 Aegean Cup. The U16 tournament took place in Kusadasi at the Altinordu training grounds. Turkey, England, Spain, Russia, Moldova, Azerbaijan, Albania and Macedonia took part in the tournament over the past week. Spain were defeated 2-0 by Turkey in the final with Omer Faruk Beyaz scoring a brace. Beyaz was awarded Man of the Match and impressed the scouts present, sources close to Altinordu revealed to Turkish-Football. Liverpool and United scouted Beyaz throughout the tournament and are expected to continue keeping tabs on the 15-year-old. Manchester City, Chelsea, Liverpool, Stuttgart, Frankfurt, PSV, Villarreal, Shakhtar, Frankfurt, Aston Villa and Basel also had scouts present at the tournament. In total Beyaz scored four goals and provided two assists at the tournament. Beyaz is one of the highest rated players to rise through the Fenerbahce academy and signed a pro-contract with the club over the summer. The rising star signed a three-year deal with Fenerbahce and was promoted to the u19 side.